Whether it is at the lumber mill or on a building project site, the lumber or the wood being used needs to be measured for the correct moisture content. This is routine in large lumber mills throughout the world but is just as important on the job site. Moisture meters provide an easy, convenient and precise way to measure moisture content in wood. Newer, more modern technology has enabled the industry to even more effectively measure and manage moisture in lumber and wood-based building materials. Wagner Meters carries many moisture meters that are specifically designed to measure wood’s moisture content and possibly provide an indication of how temperature and relative humidity (RH) are affecting the wood properties (mainly moisture) at any given moment during wood manufacturing or construction. 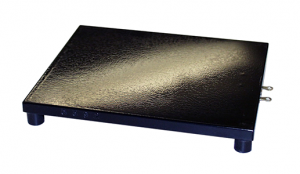 In many ways, effective moisture content control has never been so accessible. Moisture meters provide instant results. Wood installers and hobbyists alike can run a Wagner meter along the wood surface and read its percentage of moisture content deep into the wood. Additionally, Wagner meters can be set by the user with the correct density setting for the different wood species they want to measure. Correct moisture content is integral to any successful project built with wood. However, the mind boggles at readings produced by malfunctioning moisture meters. All measurement instrumentation must be within calibration and periodically verified as such, and if necessary, recalibrated. Moisture measurement instrumentation for wood is no different. Out-of-calibration moisture meters can cause wacky moisture meter readings. Wagner meters, of course, come factory-calibrated for immediate deployment, but over time they occasionally fall out of sync. 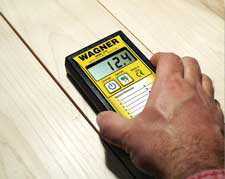 Wagner recognizes that for a wood moisture meter to provide accurate results there must be an immediate remedy. That’s why the company has developed its calibration verification block, a go-to way of checking a moisture meter’s calibration on-site. Lumber mill personnel, builders, and installers can purchase calibration verification blocks with factory certification to ensure their moisture meter is still within factory specification. Just place the moisture meter on the calibration verification block, and it will verify the calibration. If out of calibration, the meter can be sent back to Wagner for re-calibration. The Wagner calibration verification block is designed to work with: MMC205, MMC210, MMC220, MMI1100, L601-3, L610, L612, L620, and L622. The immediacy of moisture metrics also applies to meter maintenance. Customers have the option of ordering Wagner’s calibration verification block with or without a certificate. A certificate verifies that the block met Wagner specifications prior to shipping. Consider a verification block as a cost-effective investment in maintaining the accuracy of a Wagner wood moisture meter.